Cosmic Commissions: Art, Designs, and More! Hey there, everyone! I'm a full-time freelance artist, so commissions are always open. 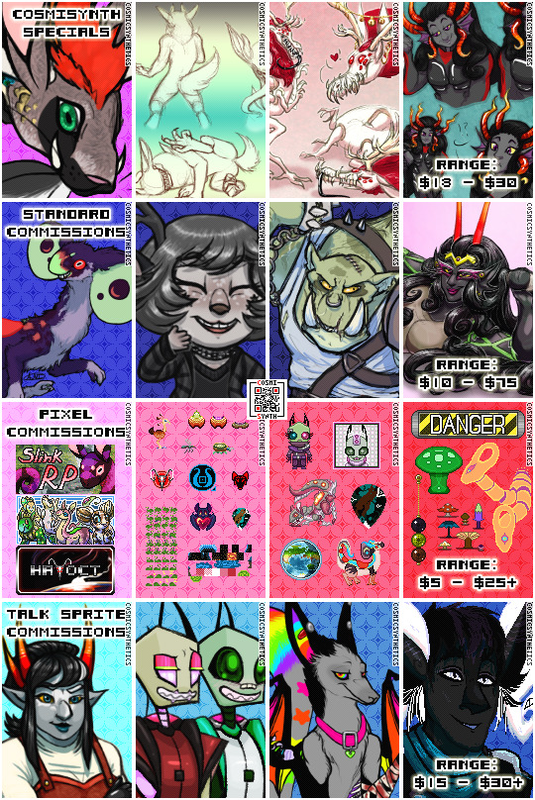 Below, I've provided a quick run-down of my prices and services, but please visit my Google Docs Commission Page for more info and specifics! If you have any questions, you can PM me here, my Tumblr, my DeviantArt, my Toyhou.se, my Twitter, or my main Fur Affinity anytime. Also feel free to browse my Tumblr to see more examples of my work. Chimney Ah awesome! I'll message you and we can talk Paypal addresses and what character you want drawn. c:"
have you got any examples of character redesigns? Sadly I haven't had a lot of that commission type, but I've got one example on Deviantart and PLENTY of personal examples here on Toyhou.se! Hi! 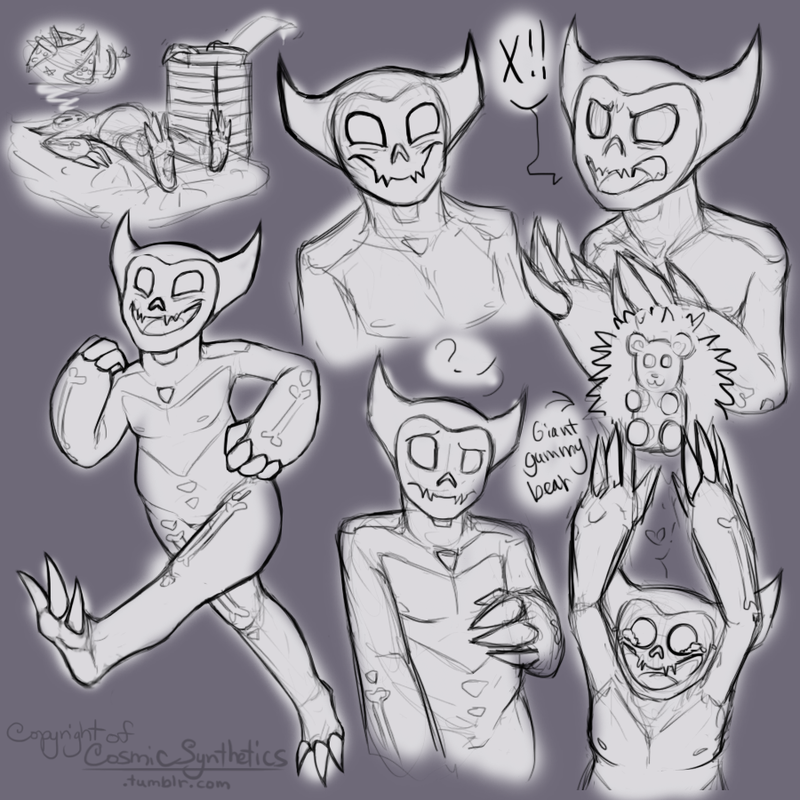 I'd be interested in a talk sprite of this troll gal? Pixel art if possible.